Boal); exploration of the self and other (Artaud, Grotowski); and performance as cultural exchange (Brook, Barba). 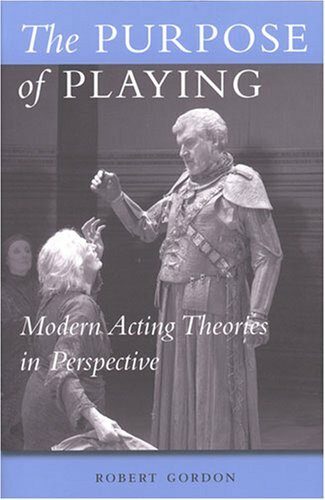 The synthesis of these principal theories of dramatic performance in a single text offers practitioners the knowledge they need to contextualize their own practice within the wider field of performance, while encouraging theorists and scholars to be more sensitive to the material realities of artistic practice. "This analysis of major movements and figures from the early nineteenth century to the present is clear, thorough, and penetrating, and its scope across periods, countries, and styles is impressive." --Xerxes Mehta, University of Maryland-Baltimore County Robert Gordon is Reader in Drama, Goldsmiths College, University of London. Robert Gordon has written for major publications in the U.S. and England, and has contributed to several books. He produced the Al green CD box set, "Anthology", for which his liner notes were Grammy nominated. As a filmmaker, he directed the award-winning blues documentary "All Day and All Night", and his music video work has appeared on MTV, BET, and CMT. He is the author of a forthcoming biography of Muddy Waters, and director of the companion documentary. He lives in Memphis with his wife and two daughters.